Information and links to area resources and services. 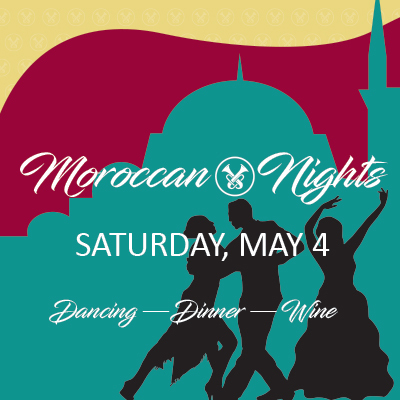 Moroccan Nights — Saturday, May 4, 6:30–9:30 p.m. This class has been revamped to include meditation and is now available on Tuesdays and Thursdays. The first half of the class is a gentle, versatile form of yoga that is adaptable for all skill levels followed by instructor led meditation. Reduce stress, gain flexibility, strength, energy, all at a perfectly slowed pace. Improve overall health and well-being! Join certified instructor Abigail Pinheiro who will show you how to mix movement, music, and merriment. You can register for both days a week, one day a week, or just drop in.